An Ontario First Nation has accepted a settlement from Ottawa 20 years after the dispute over Camp Ipperwash led to the death of aboriginal protester Dudley George. The Chippewas of Kettle and Stony Point First Nation say members approved the deal with the federal government in a vote held on Friday. They say the more than 90-million dollar financial settlement also includes the return of land appropriated by the federal government in 1942 and the cleanup of Stoney Point lands. The Chippewas of Kettle and Stony Point First Nation is located along the shores of Lake Huron, 35 kilometres northeast of Sarnia. 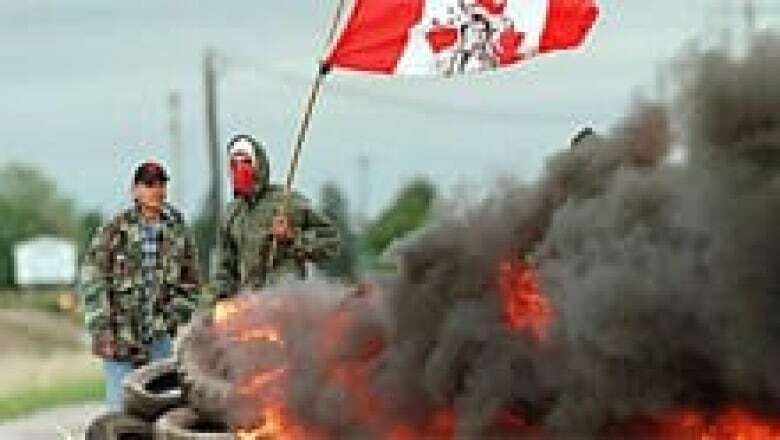 The anniversary marks the deadly confrontation between unarmed protesters and Ontario Provincial Police, members of the First Nation. The dispute over territory dates back to 1942, when the Canadian government expropriated land belonging to the First Nation to build a military base called Camp Ipperwash. Sixteen families were relocated, including their houses. After the war, some of the land became Ipperwash Provincial Park while the rest remained a military base. The band tried for years to get the land back, saying it contained a sacred burial ground. While that claim was disputed, Camp Ipperwash does contain a cemetery with graves belonging to First Nations people. Two protesters stand by a barricade near the entrance to Ipperwash Provincial Park, near Ipperwash Beach, Ont., on Sept. 7, 1995. (Moe Doiron/Canadian Press)By 1993, frustrated that the land still hadn't been returned, members of the First Nation began occupying Camp Ipperwash — even though the military was still using the land to train cadets. The military finally withdrew from the land in 1995. 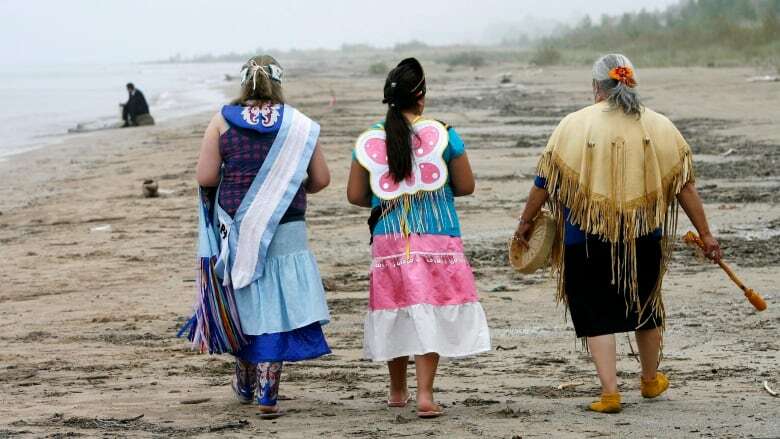 On Sept. 4, 1995, a group of about 30 people from the First Nation marched in and began occupying Ipperwash Provincial Park as well. Two days later, an unarmed protester named Dudley George was killed by an OPP sniper during a raid on the protesters' camp. 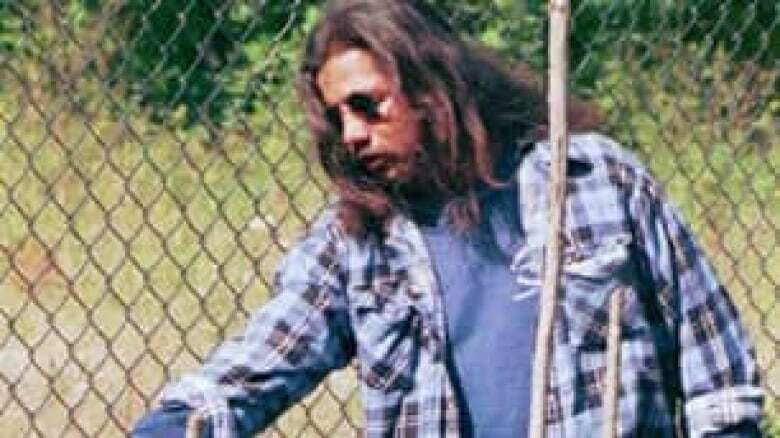 George, 28, became the "first aboriginal person to be killed in a land-rights dispute in Canada since the 19th century," according to the commissioner who led a subsequent inquiry into his death. Acting OPP Sgt. Kenneth Deane was eventually charged with criminal negligence causing death, but resigned from the force and never served time. Dudley George, shown in this 1993 photo, was shot and killed when police fired on First Nations protesters occupying Ipperwash park. (Tony Pitts/Port Huron Times Herald/Canadian Press)Now that community members have accepted the deal, the $95 million will be transferred to the First Nation within six months, according the band's newsletter. Camp Ipperwash will also be returned to the First Nation, but Ipperwash Provincial Park isn't part of the deal. It's already in the process of being transferred to the First Nation though it's currently "co-managed" by the province. Some of the settlement money will be put in trust and used to build a new community on the returned land, but some of the money will be distributed to community members. The Kettle and Stony Point First Nation has 2421 members, 1324 of whom live on reserve. Band members will receive $5,000 each, with community elders receiving $10,000 each. Descendants of people who lived on the land before it was expropriated will receive $150,000 each. If the community members reject the deal, chief and council says they'll have to take the federal government to court at their own expense — a process that could take years. In an email statement, Aboriginal Affairs and Northern Development Canada said the proposed settlement would "resolve all outstanding issues regarding the former Camp Ipperwash lands" but wouldn't provide specifics of the deal. Kettle and Stony Point First Nation declined CBC News' request for an interview but said that a statement would be released sometime after voting closed on Friday.